I have just returned from the IKUWA 4 conference in Zadar, Croatia. IKUWA (the International Commission for Underwater Archaeology) usually turns out to be the largest gathering of underwater archaeologists from around the world though usually with a European focus. I always enjoy it because it’s a chance to catch with friends and colleagues and share experiences – the life of an underwater archaeologist can sometimes be a lonely one as there are rarely more than one or two in any given academic department! As with most conferences the most stimulating exchanges took place with colleagues outside the sessions in the corridors, cafes and local bars. The theme of the conference, similar to previous IKUWA meetings, was all about the effective management of underwater heritage. 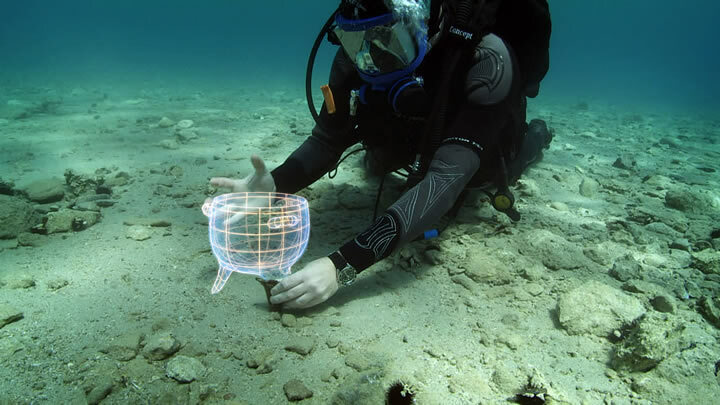 However, it’s the new discoveries since the previous IKUWA that always hold the most excitement for me – after all the reason most of us got into underwater archaeology was to dive, discover new sites and work on them. At IKUWA 4 the reporting of new projects mainly centered around a session entitled Site Reports. Stand out finds for me this year were RPM Nautical Foundation’s discovery of a bronze ram near Sicily – only the seventh ever to be located underwater which is surprising given the assumed ubiquity of oared warships in the ancient world, such as the triremes which appear in almost every Hollywood sword-and-sandals epic (http://rpmnautical.org/ ). Equally Lucy Blue and her colleagues are doing great things in the Red Sea carrying out the first systematic survey of Roman period shipwrecks in the northern Red Sea (check out some images at http://www.deepsphere.com/archeophotos/#home). While from Croatia came the exciting story of the work on the 16th century cargo of the St. Paul wreck (see http://www.croatia.org/crown/articles/9904/1/Miho-Demovic-Two-millenia-of–St-Pauls-shipwreck-near-the-Croatian-island-of-Mljet.html). A shadow hanging over a conference determined with the protection of shipwrecks was the news that Odyssey Marine Exploration, a notorious treasure hunting and salvage group, had just been given permission by the UK government no less to recover £150 million of silver from the SS Gairsoppa, a World War II cargo vessel lost 300 miles off the west coast of Ireland. The wreck does not qualify as a ‘historic wreck’ in that it is not yet 100 years old but surely war wrecks qualify as heritage for the future? More to the point the ship was sunk by a German U-boat in 1941 with the loss of all 80 souls and as such should be considered a war grave. It is insulting to the relatives of this vessel to agree to this salvage. 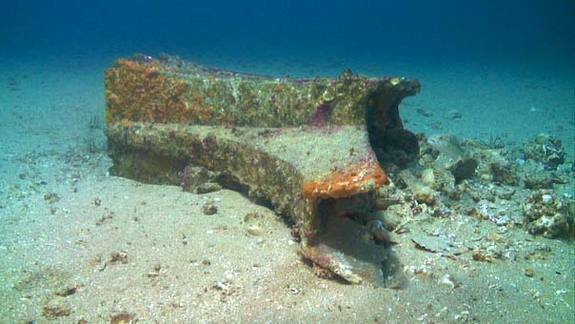 Odyssey Marine try to claim that they conduct ‘marine archaeology’ but the recovery of artefacts for profit is treasure hunting, plain and simple, and is not something a modern, ethical society should be involved in. A revealing quote comes from Andrew Craig, a senior project manager at Odyssey Marine who said on the radio that “we just can’t wait to get going on it and get it [the silver] up on to the deck of the boat and actually monetise it.” (hear the interview at http://www.abc.net.au/rn/breakfast/stories/2011/3326352.htm ). Is monetise even a word? Whatever it is this project leaves a sour taste in the mouth and further damages the reputation of the UK government – who have yet to sign up to the UNESCO Convention on the Protection of the Underwater Cultural Heritage and show no intention of doing so. Unfortunately treasure hunters like Odyssey are attracting the media attention and having more impact than the world of underwater archaeology. While professional archaeologists talk about the underwater resource, archives and strategic management plans, treasure hunters instead talk about gold, treasure, adventure and risk and this what people expect archaeology to be like and what they want to hear. We should be able to tell more interesting stories about the past than treasure hunters can but unbelievably at the moment it looks like we are losing the battle. Travesties like this recovery of silver from a war grave should act as a challenge to all underwater archaeologists in the world to stand up, take ownership of their own discipline and make it relevant to the public. Might I simply say such a comfort to discover anyone who really knows what they may be talking about on the web. You definitely realize how to take an issue to light and enable it to be vital. More people need to study this particular and know this particular section of the story. I cant believe you are not more popular as you positively have the gift.